The tunnel was built on the U.S. side of the border. 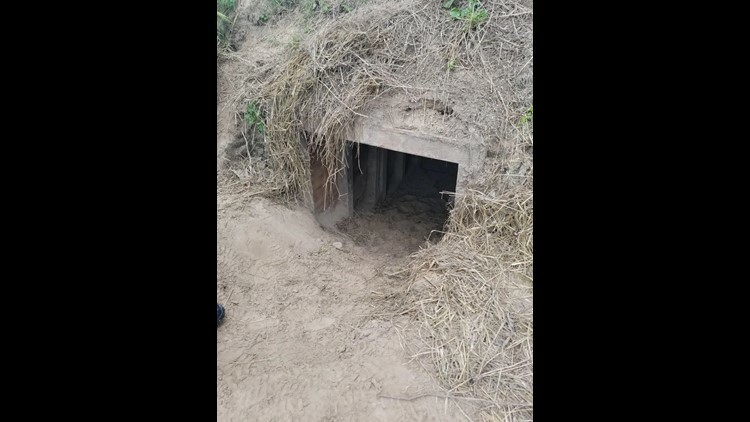 HIDALGO, Texas — U.S. Border Patrol agents made the rare discovery of a tunnel dug near a border fence in the Texas Rio Grande Valley. The tunnel was found at the bottom of a 30-foot embankment on the U.S. side of the border near the city of Hidalgo. Photos were taken by Hidalgo County Water Improvement District 3 General Manager Othal Brand. Brand said the tunnel is roughly 1,500 feet downriver from the water pump station. The discovery was made by Riverine Border Patrol nearly a month ago. “It has 4’ by 4’ in plywood both sides at the top, and 4’ by 4’s two to three feet apart all the way in,” noted Brand. Authorities believe whoever was digging the tunnel intended to go under a near-by border fence, however it didn't get that far. Brand said the hole is about 60-feet deep. It’s one of the two tunnels in the area President Donald Trump was briefed on when he paid a visit to the Texas border three weeks ago. Tunnels are rarely discovered along the Texas border because of the Rio Grande River running between the United States and Mexico. 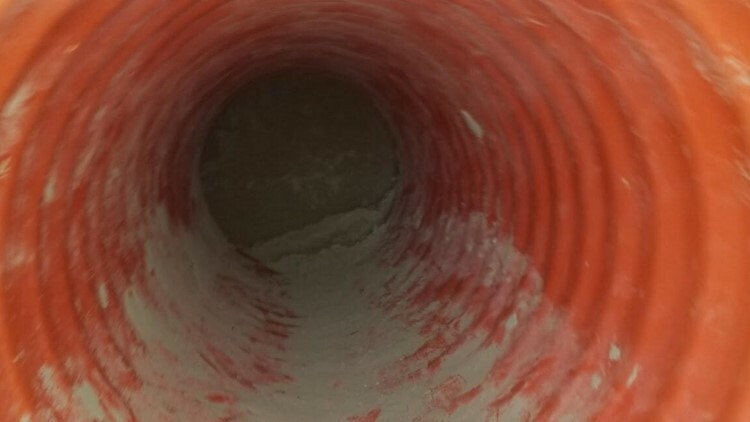 Authorities presume that the tunnel was being worked on by the Mexican cartel for illegal smuggling. Border Patrol is working to seal it in the coming days.